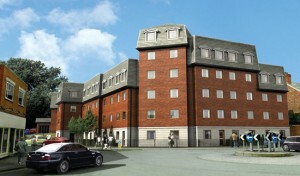 Since 1996, over 6,000 houses and apartments have been built in Wrecsam. Nearly 3000 more have valid planning permission and are yet to be built in the borough. This number continues to go up on a monthly basis, with an average of about 30 per month gaining full permission based on figures over the last 12 months. The numbers are so high that Wrecsam council have overshot their housing projections for their UDP (Utinary Development Plan) by over 40%. The majority of local people simply cannot afford to buy these houses and very often they are bought by those moving into the area who have a financial advantage over the local population. These population movements in turn serve to push local house prices even higher. You may be surprised to discover that to date, out of all the housing completions mentioned above, only 64 ‘affordable’ houses have been built, that’s around 1%, whether or not even these are affordable in reality is another debate. This despite the fact that there is an acknowledged need for thousands of affordable houses in the borough. As you will probably be aware, many of these new houses and apartments are currently sitting empty, yet planning permission is still being given for even more. Given this fact, it clearly seems madness to build yet more houses that are quite obviously not needed, so why are they being built in the first place? The truth is that our housing projection figures in North East Wales are not based on local need, they are in fact based on past in migration trends from the North West of England. It is apparent by the distinct lack of affordable houses that local needs have not featured in the equation at all. Although there is a downturn in the housing market at present, developers know this will not be permanent and can afford to sit on land until the market picks up. Interesting to note that the above quote refers to the ‘right’ level of growth rather than a natural level of growth. We mention above around 10,000 houses that either have been built or will be built in Wrecsam, a mere 1% of them affordable for local people. 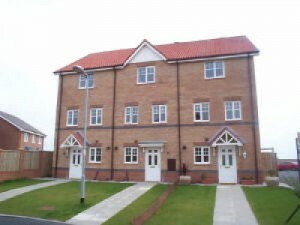 These 10,000 houses are not based on local need, they are in fact not based on any ‘need’ at all. Such high rates of housing growth inevitably bring with them large population increases and demographic changes. There are some obvious implications in terms of pressure on local services with such dramatic shifts. There are more and more people competing for services such as doctors, hospitals and dentists. 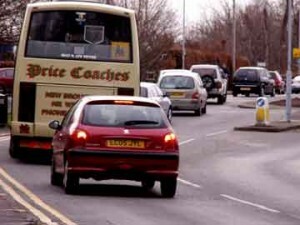 Population increases inevitably bring with them traffic increases, traffic jams in Wrecsam are now common place due to an increase in the amount of cars in the area. Many local schools are also struggling to cope with the increases, leading to many children being unable to secure places at their local school and very often classes having to increase in size. Other implications are also obvious, with warnings already coming from the Environment Agency about the water supply in Wrecsam not being able to cope with the towns continuing growth. Inevitably with an increase in population also comes an increase in carbon emissions and the amount of waste going to landfill. There are cultural, social and political implications too. High levels of in-migration from the North West of England, combined with high rates of development generally have left Wrecsam in serious danger of losing it’s welsh identity and character. The amount of building is leading to the coalescence of many of the villages in the area and the loss of open green space . All these effects have an obvious impact on the environment, community cohesion, quality of life and Wrecsams sense of identity. You would think that there would be a plethora of research conducted prior to any local authority committing to such high rates of development and population increases. Not only was there never any research at all, there still isn’t and there are no plans to conduct any. Additionally, there has been no consultation with local people about all this development and these expansion plans which have been ongoing for years. In 2006, Wrecsam council, along with Denbighshire and Flintshire councils adopted the North East Wales/West Cheshire sub-regional strategy. This strategy proposed further economic and housing expansion up until 2021 and therefore is still ongoing, it is essentially about the economic expansion of the North West of England into Wales. Yet again, this plan is not based in any form of local need and there was no consultation with local people in any of the counties affected. Because of development strategies such as the West Cheshire plan and all the development we’ve seen in Wrecsam over recent years, the town has a substantial shortage of council owned land supply within it’s settlement limits. This means that in order to provide for local housing needs in the future, the council will have to either allow building on public open space, or extend the settlement limits to allow construction on green barrier to provide affordable housing for local people. Should the levels of development described in the West Cheshire plan continue (both open market housing and economic development) there can be no doubt that the pressure on services locally will continue to increase, welsh identity will continue to be eroded and our villages will continue to coalesce. To continue with this plan and this way of thinking is completely illogical. It is not sustainable either socially or environmentally to continue with such high rates of growth. What is done cannot be un done, certainly not in the immediate future. However, what we can do is attempt to repair some of the damage and to stop making it any worse. This cannot happen unless there is an acknowledgment that huge mistakes have been made which will have consequences for local people for generations. Those responsible need to be accountable to local people, not only for the mess they’ve left us in but also for their determination to plough ahead even now, regardless of the consequences. We cannot afford to avoid the reality of the situation any longer, the impacts of such development strategies are wide ranging and clear to see all around us. 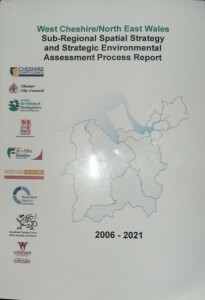 At this point in time it is difficult to imagine how the situation in areas like Wrecsam could get much worse, for those of you who want to find out, read the West Cheshire/North East Wales sub-regional strategy and see what has been planned up to 2021. Also, please keep in mind that these major decisions have been made in your name, without either your knowledge or your consent.